Still playing with patterns. Of course, I had to do something with cats! I drew them, then traced them in Illustrator so I could make symbols to repeat. Still debating whether or not I should color them in. I think I like them this way though. Really cute Sue! Well, would love to see them if/when you do colour them in. Really cute pattern. I can see it as a fabric. Love it! If this was pajamas, I'd wear them all the time. If you like the way they are, then that is the way they should be!! Very cute. Oh so great! I laughed out loud when I clicked on your blog and saw them in the first moment! So adorable and cute! 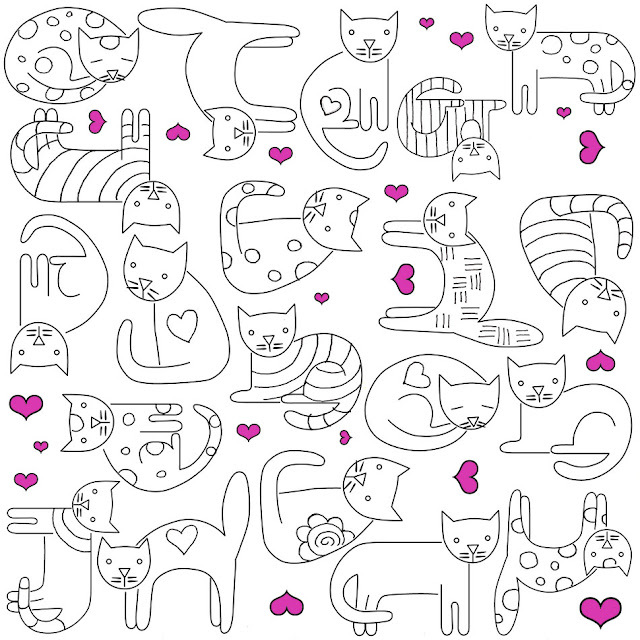 What charming pattern play ~ love the kitties! 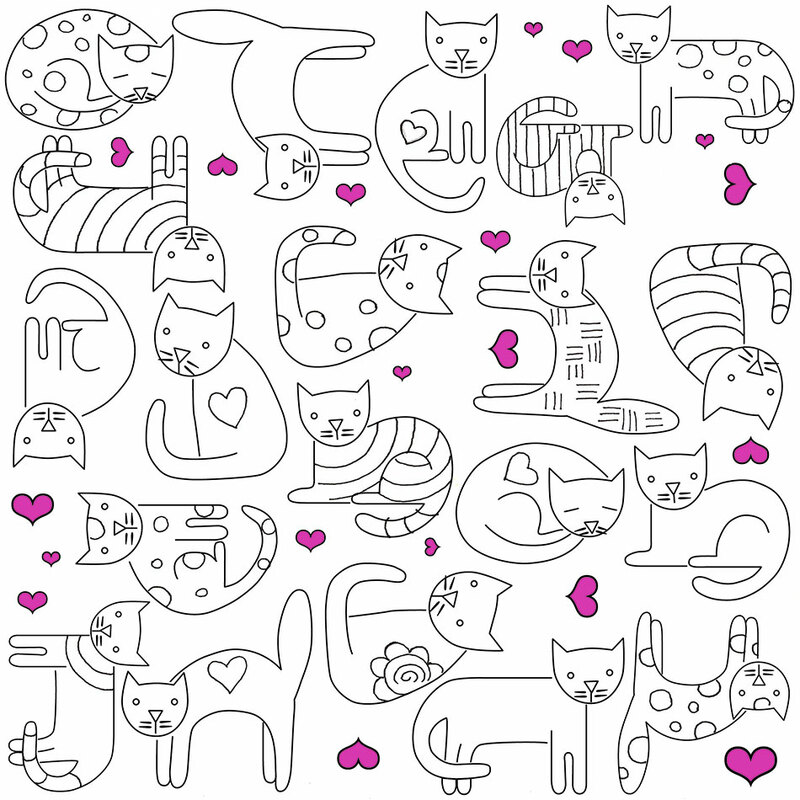 loving this cat pattern! thanks for the visit.